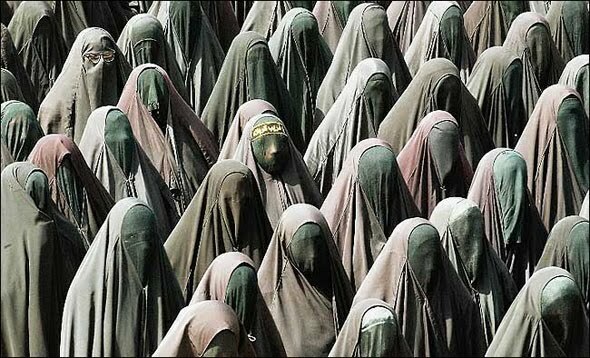 I believe if you want to be an advocate for woman’s rights then you should be on guard & educated regarding Sharia law. Sharia law is anti-woman, anti-family, & anti-human! Sharia law is currently practiced in Iran,Pakistan,Saudi Arabia,Nigeria,Sudan,Iraq (prior to 2003),and Egypt. Islamic law is now the most widely used religious law, and one of the three most common legal systems of the world alongside common law and civil law (Roman law). It’s an issue close to my heart and I wanted to share. The article below is written about a woman born and raised in Egypt and later in Gaza. In her latest book, Darwish warns about creeping Sharia law – what it is, what it means, and how it is manifested in Islamic countries. In the West World (America) Muslim men are starting to demand Sharia Law so the wife can not obtain a divorce and he can have full and complete control of her. It is amazing and alarming how many of our sisters and daughters attending American Universities are now marrying Muslim men and submitting themselves and their children unsuspectingly to the Sharia law. By passing this on, enlightened American women may avoid becoming a slave under Sharia Law. Darwish was born in Cairo and spent her childhood in Egypt and Gaza before immigrating to America in 1978, when she was eight years old. Her father died while leading covert attacks on Israel. He was a high-ranking Egyptian military officer stationed with his family in Gaza. In her latest book, Darwish warns about creeping Sharia law – what it is what it means, and how it is manifested in Islamic countries. While Westerners are accustomed to an increase in religious tolerance over time, Darwish explains how petrol dollars are being used to grow an extremely intolerant form of political Islam in her native Egypt and elsewhere. It is too bad that so many are disillusioned with life and Christianity to accept Muslims as peaceful. Some may be but they have an army that is willing to shed blood in the name of Islam. The peaceful support the warriors with their finances and own kind of patriotism to their religion. While America is getting rid of Christianity from all public sites and erasing God from the lives of children the Muslims are planning a great jihad on America.